Thanks to a partnership between government, a local artist, and a global athletic brand, basketball players on Manhattan's Lower East Side can now enjoy colorful courts and high-style hoops that highlight the energy of the sport. 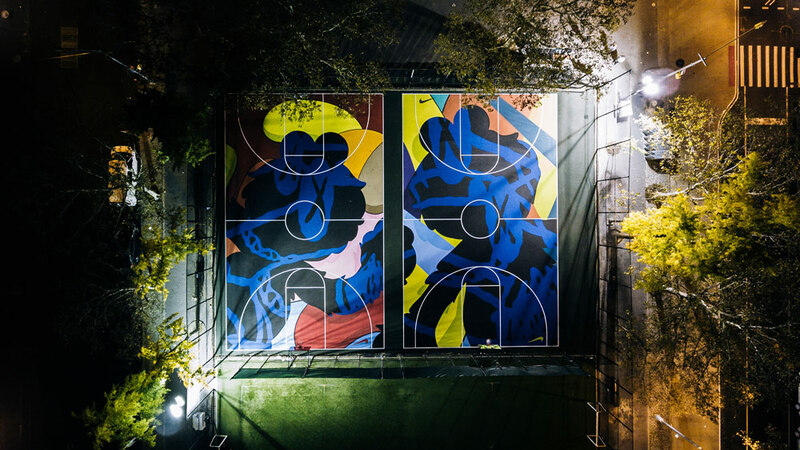 The New York City Department of Parks and Recreation (NYC Parks) teamed up with Nike and KAWS, the Brooklyn-based artist and toy designer, to transform Sara D. Roosevelt Park's two basketball courts into vibrant permanent installations. 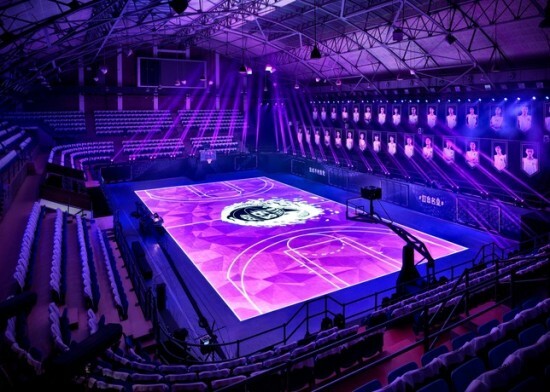 The four vividly-hued backboards and their matching asphalt playing surfaces—painted with bright character silhouettes against kaleidoscopic backdrops—were unveiled in a ceremony last week. “The newly installed pop-art design, conceived by Nike and KAWS, is an exciting new add to these refurbished Sara D. Roosevelt Park basketball courts. The collaborative work here not only make these courts a destination for recreation, but also for viewing creative, culturally relevant, pop-art,” said NYC Parks commissioner Mitchell J. Silver, in a statement. “Thanks to Nike for funding the stunning facelift of such a great Lower East Side amenity that is at the intersection of multiple Lower East Side neighborhoods and districts.” Nike, which recently collaborated with Portland, Oregon on its bike share program, committed $300,000 to the basketball courts for the KAWS installation and general spruce-up. The park, which opened in 1934, last received a major overhaul twenty years ago. Although this collaboration was public-private, over the past several years the Parks Department has launched three major public initiatives to refurbish parks citywide. The Parks Without Borders project asks New Yorkers to nominate parks that could be better knit into the existing urban fabric through edge-condition design interventions, while this summer, Mayor Bill de Blasio committed $150 million to reinvigorating anchor parks, the largest and best-loved parks in the five boroughs. 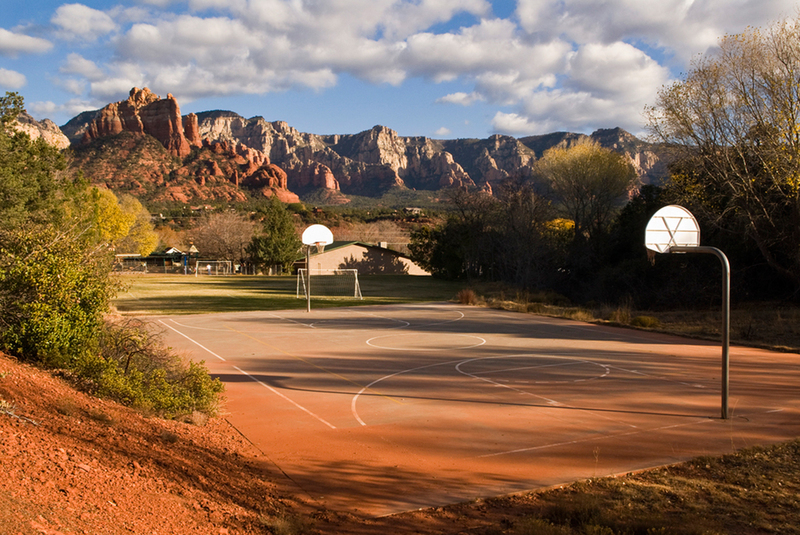 The older but ongoing $285 million Community Parks Initiative (CPI), started in 2014, added nine new sites to its improvement list in September. CPI targets parks in low-income, historically disinvested neighborhoods with growing populations. On Friday, May 13, the University of Kansas opened the long-anticipated DeBruce Center, a 32,000-square-foot addition to the university’s historic Allen Fieldhouse arena. 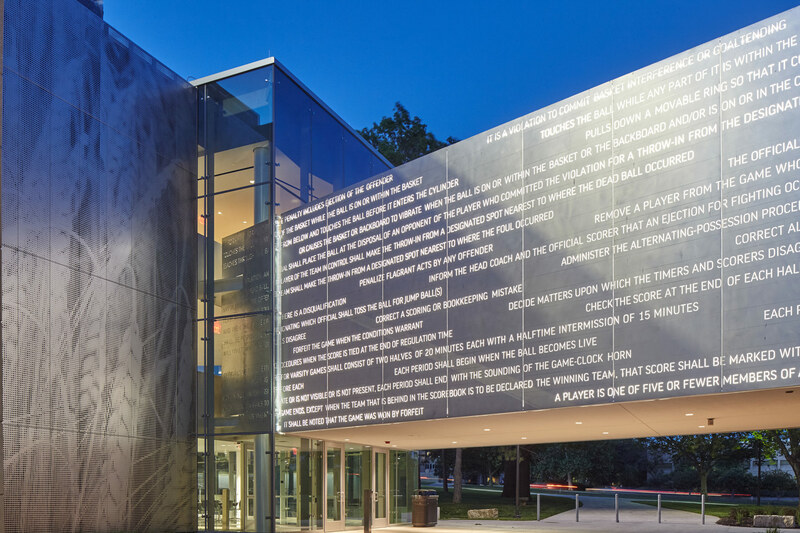 The new $21 million structure was built in order to house the two pieces of paper on which Dr. James Naismith outlined “The Original 13 Rules of Basketball” in 1891. University of Kansas alumnus David Booth and his wife, Suzanne Booth purchased the two pages at an auction in 2010 for $4.3 million—a record for sports memorabilia that year—as a gift for the school. The main feature of the DeBruce Center is an interior pathway that takes students and visitors across three floors that track the development of basketball’s rules, and weaves into an exhibition space, a gift shop, a cafe, a 60-seat restaurant, a 200-seat dining commons, and an athletic nutrition center for men’s and women’s basketball. Rather than utilizing typical museum display cases, Gould Evans integrated the exhibit into the aluminum architecture. Basketball’s current 45,000-word rules are engraved into aluminum scrim and wrap Naismith’s original 450-word document. 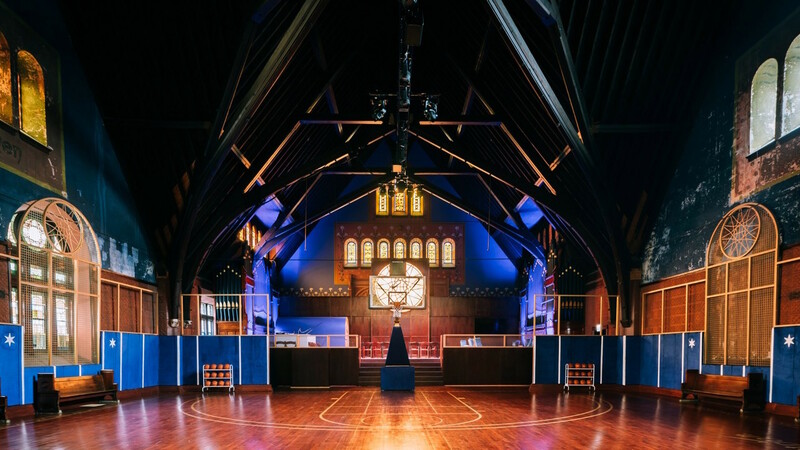 This contrast gives visitors a unique understanding of how the game of basketball has evolved over the past 125 years. Electro-chromic glass controls the amount of ultraviolet light that reaches the document and adds a surprise factor to visitors’ arrival at the pages. At the push of a button, “The Original 13 Rules of Basketball” illuminates, and Naismith’s voice tells his story of creating the sport. This exhibition path concludes along an aluminum-clad bridge, which extends into the Allen Fieldhouse arena. As another nod to its notable neighbor, Gould Evans utilized the same type of maple used on basketball courts throughout custom built-in furnishings in the dining areas. Also, the glass facade structure reflects the adjacent building and surrounding context, while simultaneously making a statement and revealing a destination for students and teachers. From the exterior, one sees into the movement and dynamics of the space, which is estimated to receive hundreds of thousands of visitors a year. 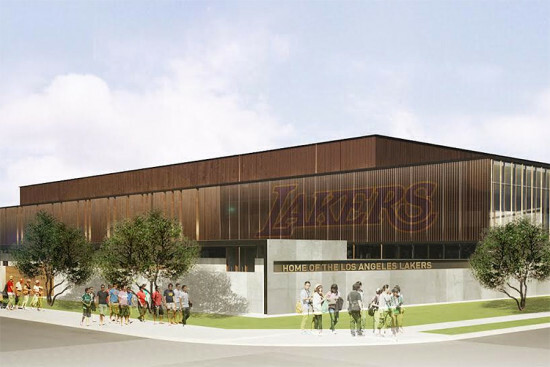 A three-sided courtyard and landscaped plaza are formed by the adjacent parking garage and the new, three-story structure, which glows at night to invite basketball fans and students to the outdoor space and facility. Providing exhibitions and student dining commons, the sculptural structure connects the University’s Naismith Drive gateway and existing student pathways. The DeBruce Center, was designed as a home for just two pieces of paper, but now engages the entire University of Kansas campus. 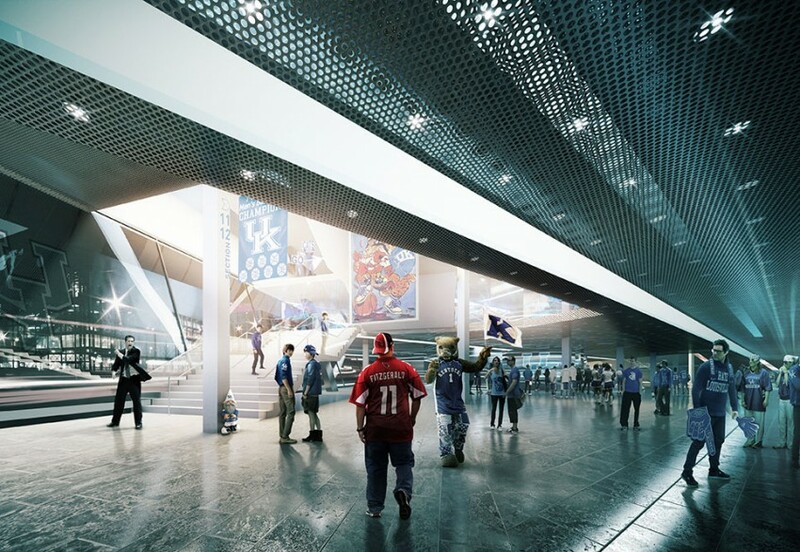 NBBJ's Los Angeles office will lead design on renovations to Lexington, KY's Rupp Arena and the city's convention center. 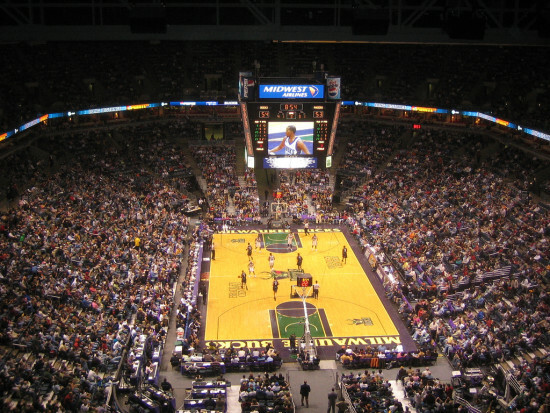 With more than 23,000 seats, Rupp is the largest arena designed specifically for basketball in the United States. 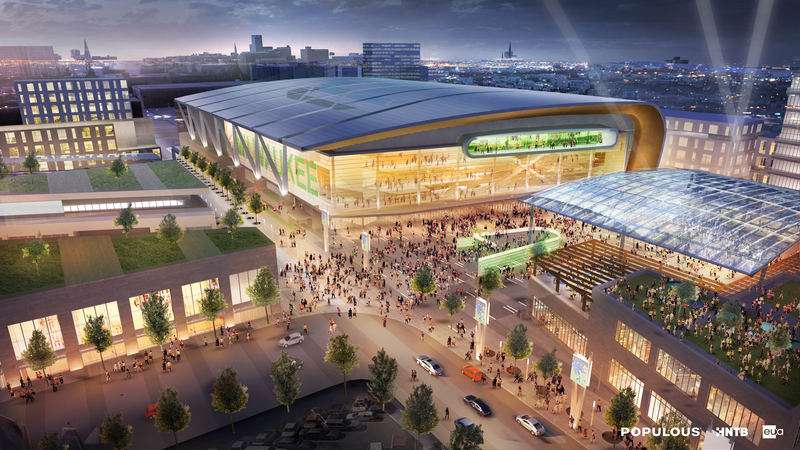 NBBJ, which will be working in collaboration with Lexington-based EOP, elected renovation over expansion or replacement after studying the 3-year-old arena. Renovation, they concluded, would save the city $215 million in construction costs. Kentucky Gov. Steve Beshear said during a press conference that “the state will play some role” in the renovation projects, but did not say how. The University of Kentucky Wildcats draw large crowds to the downtown arena, as do concerts and other events. Designs for the renovation will be finalized over the next four months, the city said, with work expected to begin in late 2014. Construction will not interfere with the Wildcats’ basketball season. Renovations to the Lexington Convention Center will add 100,000 square feet to the facility, complementing Rupp’s renovation and amounting to a downtown arts and entertainment district. “Together, they will become the commercial, sports and entertainment destination that transforms Lexington,” said NBBJ partner Robert Mankin in a statement. Plans for that district last year included other new developments, including retail and housing, but have not secured financing. SCAPE Landscape Architecture was also selected earlier this year to re-imagine the landscape along Town Branch creek running through the site. Thanks to Jeremy Lin's meteoric rise, Kobe Bryant's broken nose, and Blake Griffin's dunks, basketball is once again on everybody's mind. Now Seattle, missing an NBA team since the 2008 departure of the Seattle SuperSonics to Oklahoma City (renamed the Thunder), has a concrete plan to bring the NBA back. Seattle Mayor Mike McGinn and King County Executive Dow Constantine have announced plans for a self-funded arena sponsored by private investor Christopher Hansen, according to King County. 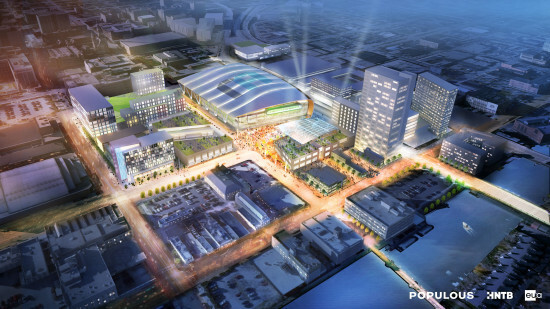 Mr. Hansen’s proposal outlines raising $290 million for a new arena downtown, near the Seattle Mariners' baseball stadium and the Seattle Seahawks' football stadium. 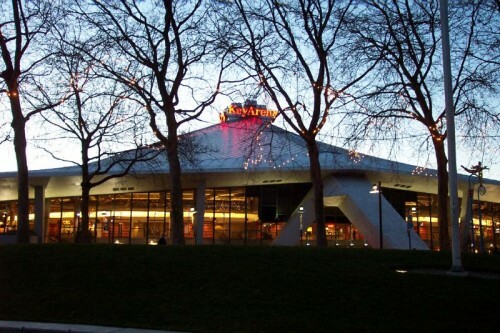 Mayor McGinn and Mr. Constantine have appointed a financial panel to assess the proposal, which must also fund a study to examine the possible revival of the city's former basketball venue, Key Arena. "This is great news for Seattle. On first look, we have an exciting proposal that, if successful, would mean hundreds of millions of dollars of private investment in our city—an investment that means even more during our city's fragile economic recovery," said Mayor McGinn. Below, watch Mayor McGinn and King County Executive Dow Constantine’s speech about the new team and arena.